Jan’s high-energy, super-motivating corporate training style has captivated many an audience. 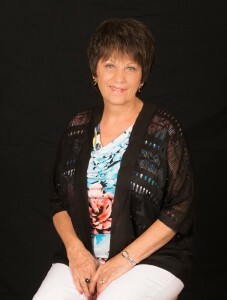 Jan has a knack for connecting with people, earning their trust, and inspiring them to succeed.She offers an entertaining, action-focused motivational speaking experience that is not soon forgotten. Jan’s presentations feature anecdotal storytelling, inspiring real-world scenarios, and plenty of interactive opportunities. She helps participants see where and how they need to create positive change in both their professional and personal lives, and then helps design individualized action plans that enable them to move forward. She also offers strategies for maintaining momentum after the program’s end through long-range goal setting and action plan maintenance. Corporate training topics in which Jan specializes include customer service training, communications, event planning, priority management, receptionist skills, administrative assistant excellence, supervision, sales and marketing, goals setting and achievement, life balance and everyday life skills. Jan owned and operated her own health and nutrition business for 20 years and has done corporate training for thousands of individuals in many different fields. An accomplished motivational speaker and presenter with excellent communication skills, Jan has an extensive history as a public speaker, mentor and trainer. Discover exciting new tools, tips and strategies to help you enhance your performance and productivity through J. Johnson Enterprises, Inc. facilitated by Jan. You will find that she provides an empowering, motivating, and enjoyable corporate training experience with every program she presents! Jan is an experienced professional who has completed rigorous certification training on many topics with varied seminar companies to ensure she offers real-world experience in the corporate training she facilitates. She maintains her proficiency through industry-specific research, attending advanced seminars, collegiate courses, and communication with other experts in her field. Jan is a motivational speaker, corporate trainer and seminar leader with outstanding communication skills. During each entertaining, yet fact-filled presentation – she makes a magical connection with her audience. When Jan’s presentation concludes, the attendees know the time they’ve spent with her is invaluable. Jan’s objectives are to empower, inspire and motivate others to reach their personal as well as professional objectives and goals. Whether it’s specific training focusing on sales, customer service, telephone skills or a broad-based curriculum like communication skills and conflict resolution, she delivers an information-rich package complete with meaningful examples. For more than 26 years, Jan Johnson has been a successful entrepreneur. Her history includes a successful, multi-million dollar direct sales enterprise, an active sales/service and professional skills, corporate training business and engagements as a keynote speaker and mistress of ceremonies. She works internationally, speaks on radio, television and at tele-conferences. Her personal library is extensive with over 2,000 books and hundreds of audio recordings. She truly “walks the talk” when it comes to using learning resources and the inspiration of others, which she shares with each audience. Jan has been the president of her local Toastmasters Club where she is still an active member and has attained the coveted Advanced Toast Master (ATM) Gold certification. Attendees range from 10 people in small settings to 30,000 people in large convention centers. She has spoken to: The Department of Defense, Herbalife International, Bowie State University, LifeSource, Gametech and numerous other outstanding organizations.